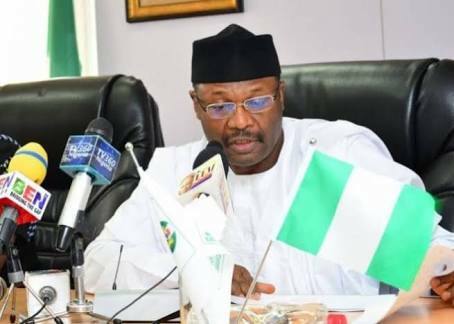 The Chairman of INEC, Prof. Mahmood Yakubu, has said that the primaries conducted by the various political parties ahead of the 2019 elections are some of the “most acrimonious” in the nation’s history in recent times. He added that the commission had already been joined in 396 pending cases in various courts across the country over the conduct of party primaries and nomination of candidates. He noted that there would likely be more court cases, given the over 300 requests for Certified True Copies of documents from the commission, which he said was a prelude to more court actions. He also said the commission had received 52 petitions and protests from aggrieved party aspirants over controversial primaries. Speaking on Friday during a capacity-building workshop for journalists, jointly organised by INEC, European Centre for Electoral Support, European Union and European Union Support for Democratic Governance in Nigeria, Mahmood pointed out that internal party democracy was still a source of concern to the nation’s electoral progress. He said, “Unfortunately, we have also witnessed some of the most acrimonious party primaries in our recent history. Internal party democracy is still a source of concern to our electoral progress. So far, the commission has been joined in 396 pending actions in various courts across the country arising from the conduct of party primaries and nomination of candidates by political parties. The chairman said further that about 73 political parties had filed their nominations at the end of the period for the substitution and withdrawal of candidates for the 2019 presidential election. He, noted, however, that a few parties nominated candidates below the mandatory age of 35 years for presidential and vice-presidential candidates but that it drew the attention of the parties concerned to the breach of the constitutional requirement ahead of the publication of the full list of presidential and vice presidential candidates for the 2019 general elections. Mahmood, while giving an update on the number and gender of candidates competing for elections into the National Assembly seats, said 6,483 candidates were jostling for the 469 seats at the National Assembly. He said, “For National Assembly elections, a total of 1,848 candidates (1,615 males and 233 females) are vying for 109 senatorial seats while 4,635 candidates (4,066 males and 569 females) are competing for the 360 seats in the House of Representatives. While giving assurance that the commission was ready for and committed to free, fair and credible elections, he said INEC did not and would never tolerate any breach of the strict timelines provided for in the timetable for the elections, adding that seven out of the 14 activities strictly on the schedule for the election had been successfully implemented. The INEC chairman said parties that failed to respect the democratic process in selecting candidates during primary elections had lost the moral right to complain about secondary elections.